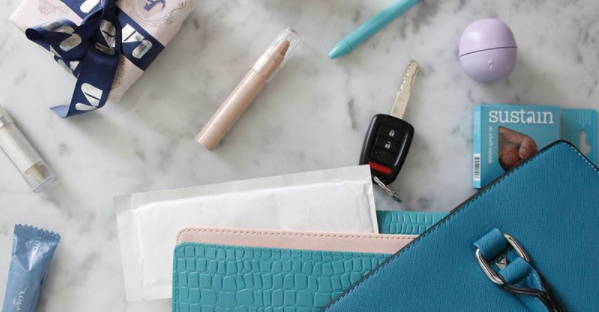 Have you ever wished there was a more private way to take an at home pregnancy test without it being discovered in your bag or the bin? Introducing Lia – the first ever biodegradable pregnancy test that’s effective, environmentally friendly and disappears without a trace. It’s been 30 years since the first at home pregnancy test kit hit the market but there has been very little advancement in the technology since. It was this realisation that prompted two female university students to create the new Lia pregnancy test in 2015 and it looks nothing like the original tests. Can you even spot it in the photo below? Sure, you can tell a lot about a woman by the contents of her purse, but it shouldn’t tell you everything. 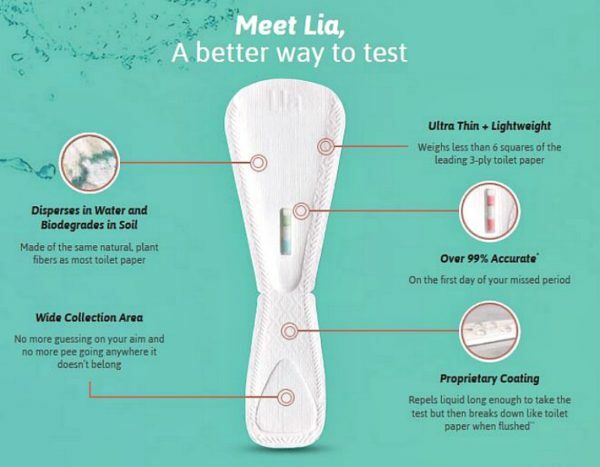 Lia is the first flushable, biodegradable pregnancy test and the only discreet option. Get ready to #meetlia later this fall! Visit meetlia.com for details. The Lia test works just like an old-fashioned plastic pee stick test except it’s easier to use and made with natural biodegradable plant fibres; making it more lightweight, less obvious to the naked eye, and better for the environment – unlike the plastic tests that go straight to landfill. It can also be safely discarded on the spot with a simple flush of the toilet. Aside from being convenient, it’s a much more private way to find out if you’re expecting or not, which makes it perfect for all those less sentimental types not looking for a positive test memento to keep or those wanting to surprise their partner in a more elaborate way. Since developing the test in 2015, Lia’s founders, Bethany Edwards and Anna Courturier Simpson, have been working hard to get it onto the market. The good news is that it has just received clearance from the Food and Drug Administration (FDA) in the United States for over-the-counter sales. Hopefully this means its approval in Australia will be hot on the heels of this announcement. Bethany and Anna have also just been awarded the Disrupt Cup at TechCrunch’s Disrupt Berlin 2017, with US$50,000 in prize money for their innovative advancement of the archaic pregnancy test. No one wants to get an incorrect result from a pregnancy test and there have been a number of recalled products on the market this year where faulty pregnancy tests have given mums-to-be false negatives. But Lia’s co-founder, Anna Courturier Simpson, says that their rigorous testing has proven that the Lia is incredibly accurate. Sounds amazing to us! Here’s hoping it makes its way to Australian pharmacies sooner than later.